So, the day after our Ireland tour ended, we struggled to life at 4 am and caught a shuttle from our hostel to Dublin Airport. Our tickets were booked with RyanAir, a notorious budget European airline. I say notorious because general consensus is that while they have great prices, working with them is a nightmare. For example. although my suitcase fits carry-on size for most airlines, it was much too large for RyanAir’s carry-on allowance, so I paid for a checked bag. However, my checked bag, at 70 euro, actually cost more than my plane ticket itself! That, along with the ticket printing fiasco of the night before, torturously long lines at the airport, and uncomfortable seats that don’t bother to recline, made us very happy to reach Edinburgh! We also tried something else that was new on this little detour: we booked a place to stay using the website AirBnB, a relatively new trend in traveling that offers rooms, apartments, and even whole houses – from local residents and their own homes. The prices are almost always better than hotels, and it allows the locals to make a little extra cash. AirBnB is available nearly everywhere, but of course, in a place like Edinburgh, you do end up with a lot more options than you would in, say, North Dakota. The place we booked was a little apartment up a long spiral staircase, right in Old Town and with a view of Edinburgh Castle. 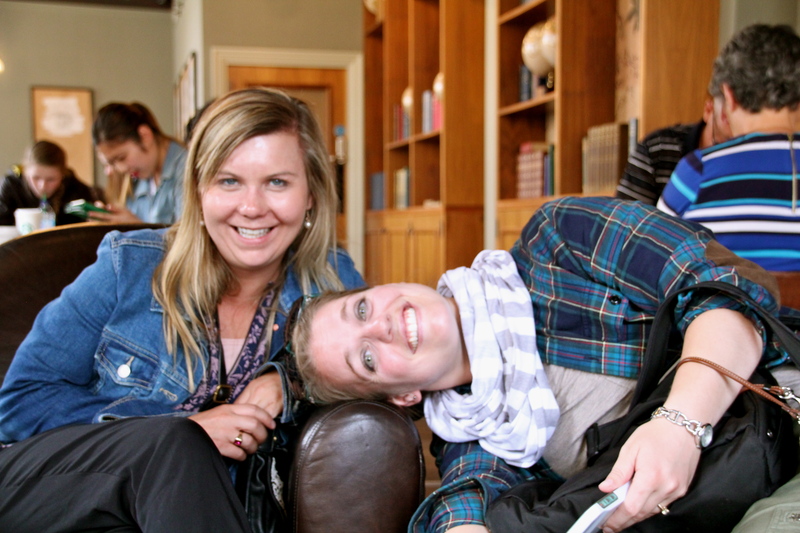 It was amazing, and our hosts were gracious and accommodating. I would highly recommend AirBnB for your future travels. Just read the reviews first to get an idea if you are getting a good place or not. 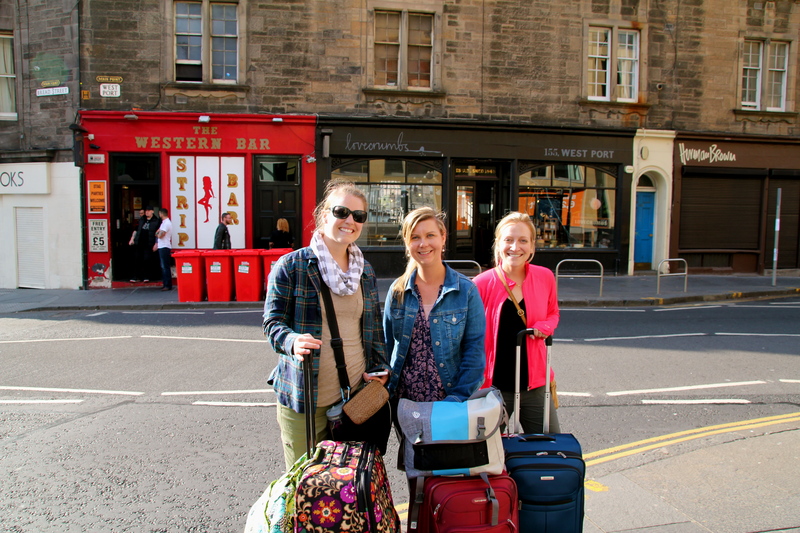 Day 1: Edinburgh. Since we arrived so early in the morning, we started with some breakfast and then hit up Edinburgh Castle as soon as it opened. 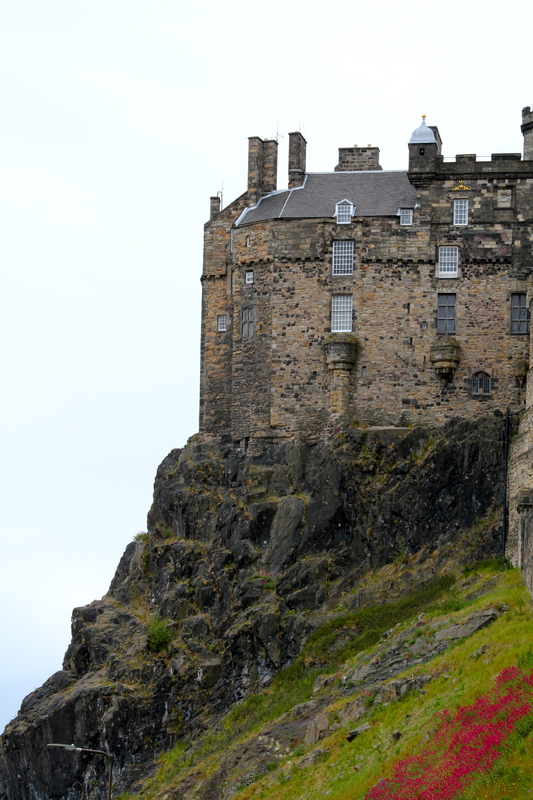 This architectural and historical treasure dominates Edinburgh’s skyline, sitting on top of the volcanic rock that slopes down toward the Royal Mile. 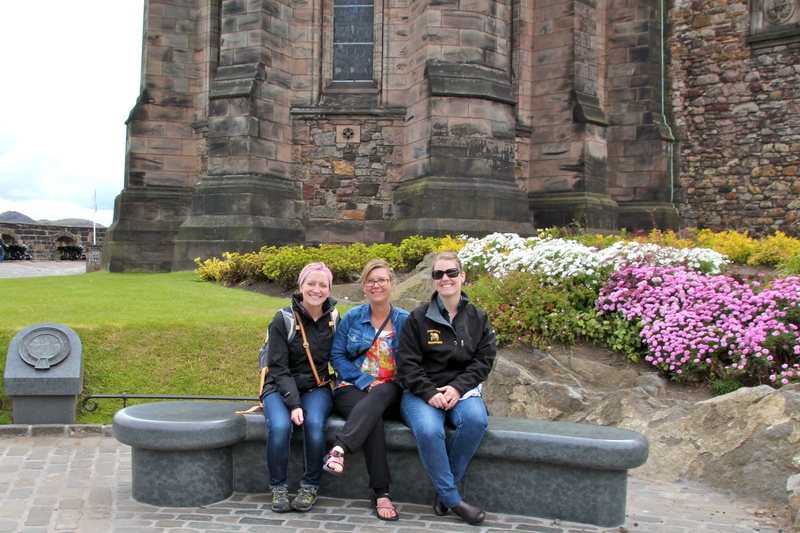 We spent about three hours exploring all the nooks and crannies that the castle has to offer. After the Edinburgh Castle, we took a tour of Edinburgh’s underground. As I mentioned, Edinburgh sits on top of a volcanic rock, which slopes from Edinburgh Castle down to Hollyrood Palace below. The road connecting the two is known as the Royal Mile, which runs right down the spine of the volcanic rock. Off the Royal Mile is a series of “closes,” steep and narrow alleyways sloping sharply down, where the citizens of Edinburgh lived for centuries in tenements and apartments. When the Royal Exchange was constructed on the Royal Mile, it was built right on top of some of these downward-sloping closes, which are therefore now underground. These were closed to the public for years, but now, you can tour the closes through companies such as Real Mary King’s Close. Ghost stories also abound, and numerous ghost tours are advertised as well. It was very interesting, but a little creepy, I admit. We spent the rest of the day exploring Edinburgh. 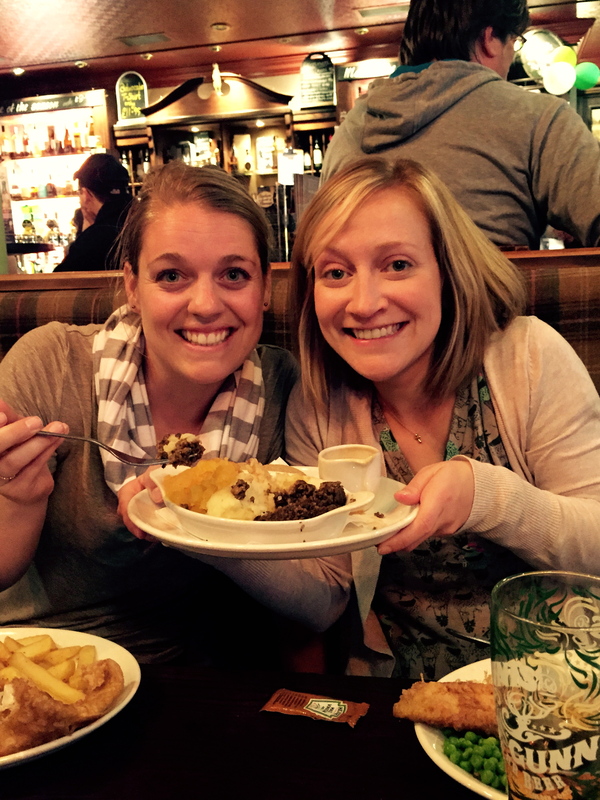 We also tried “haggis,” Scotland’s national dish. 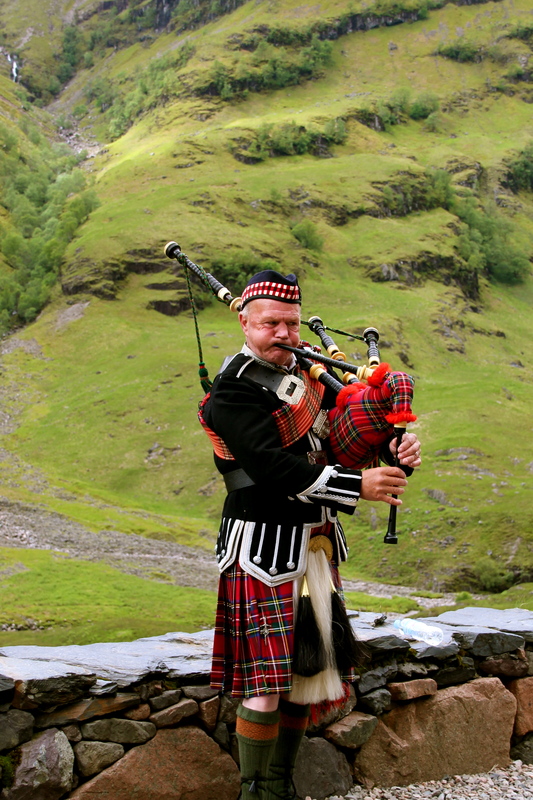 Haggis is various sheep parts – heart, liver, lungs, and sometimes stomach – ground with spices into a type of sausage. I’m telling you, it doesn’t sound appetizing, but it actually wasn’t too terrible! 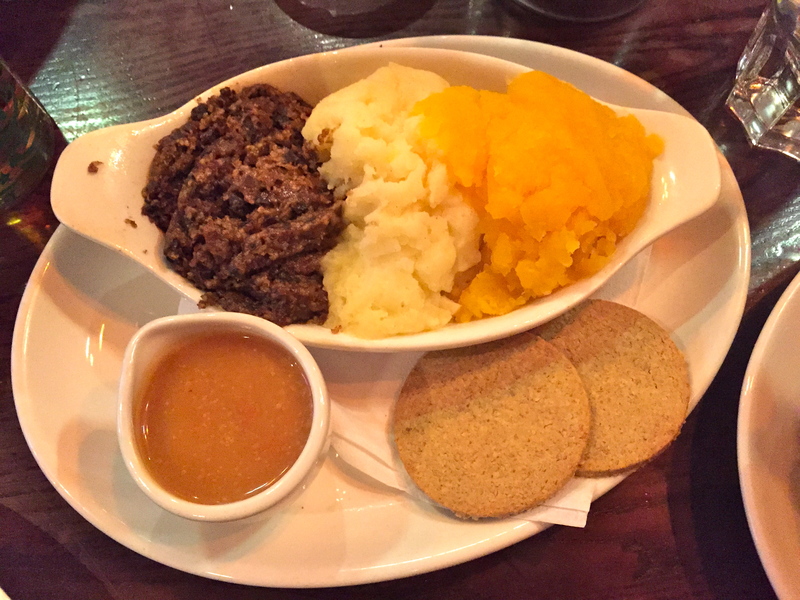 Haggis is often served with “neeps” and “tatties” (turnips and potatoes). I do have a tendency of trying gross things. Remember the spider? The haggis was much tastier, though. 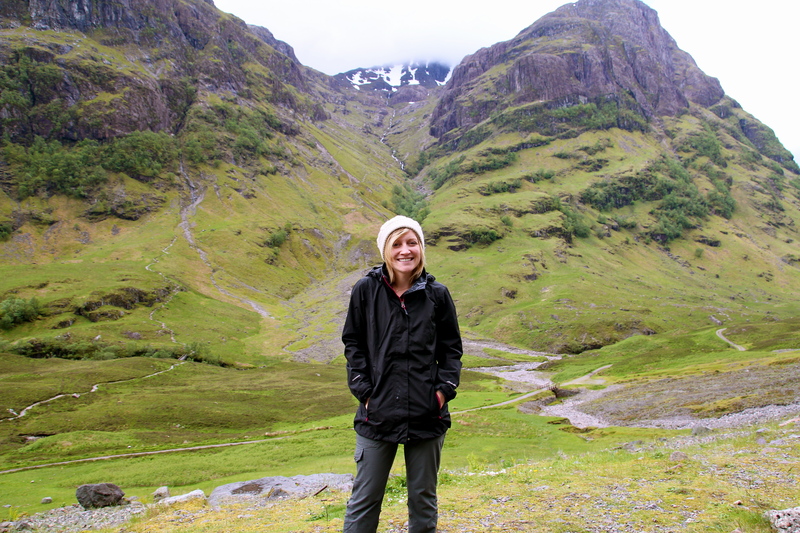 Day 2: Scottish Highlands. 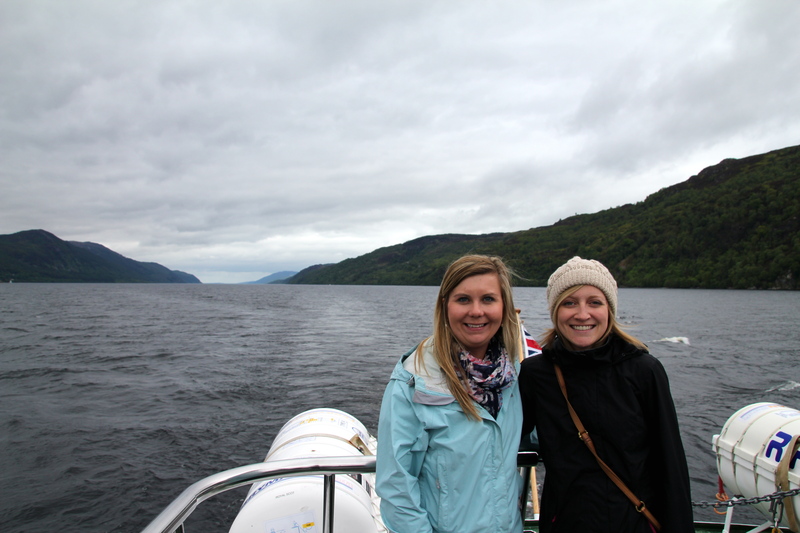 We booked a day trip to the Scottish Highlands and Loch Ness. What a great decision! We loved it. 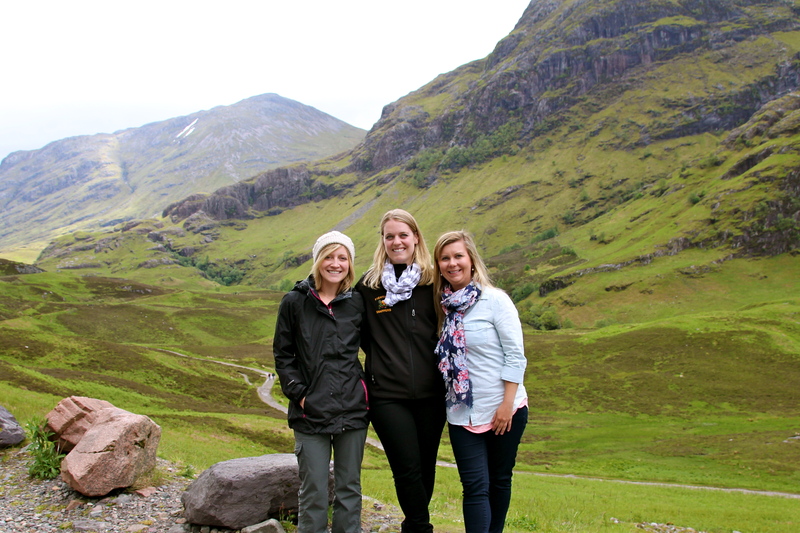 Although it was a lot of time spent in the van, we were able to see much more of Scotland than we would have otherwise. Our day trip left at 8:00 in a 14-passenger bus/van hybrid driven by an energetic local woman. 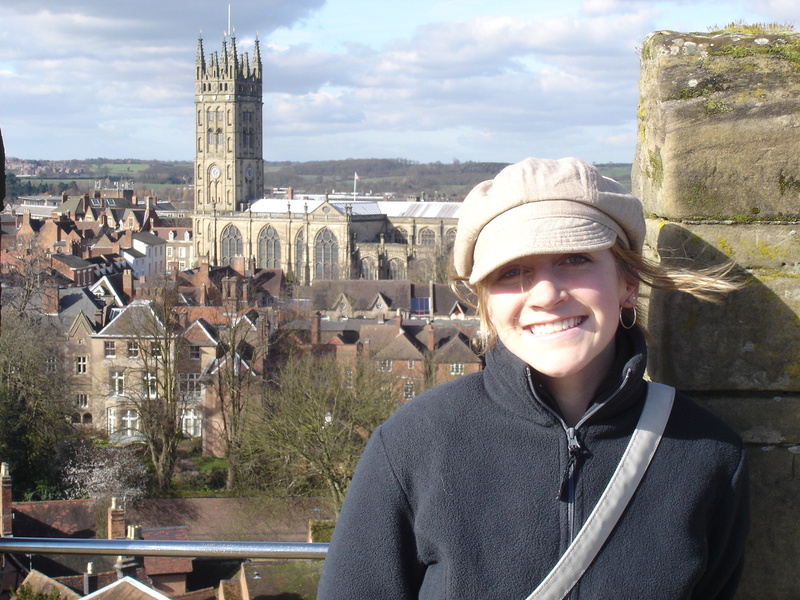 She entertained us the entire way with historical stories about William Wallace and Mary Queen of Scots, among others. The trip was rich with information and history. 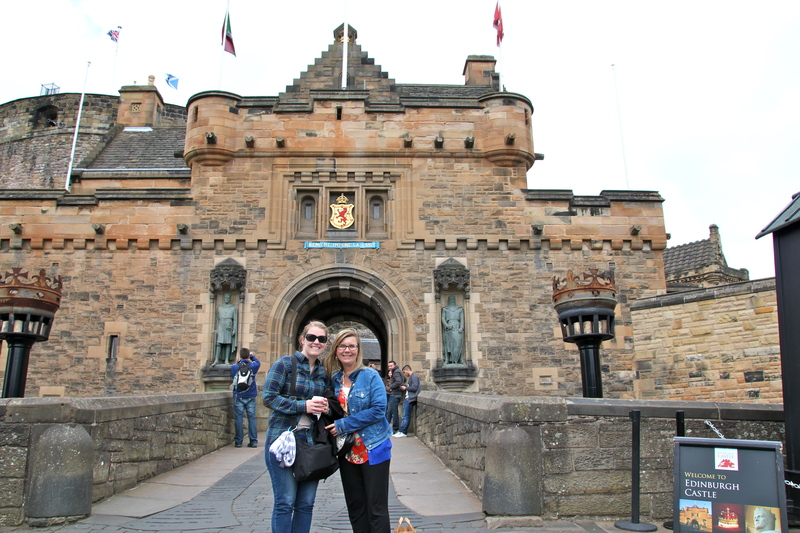 We caught glimpses of Sterling Castle, Doune Castle (where several shows have been filmed, including Monty Python and the Holy Grail, Game of Thrones, and of course, Outlander! ), and the stone tower where Mary Queen of Scots was held captive by her own people. One of our stops along the way was Glencoe, site of the terrible massacre of the Clan MacDonald in 1692 ordered by King William III. This lovely glen, despite its grim history, offered some good photo ops. 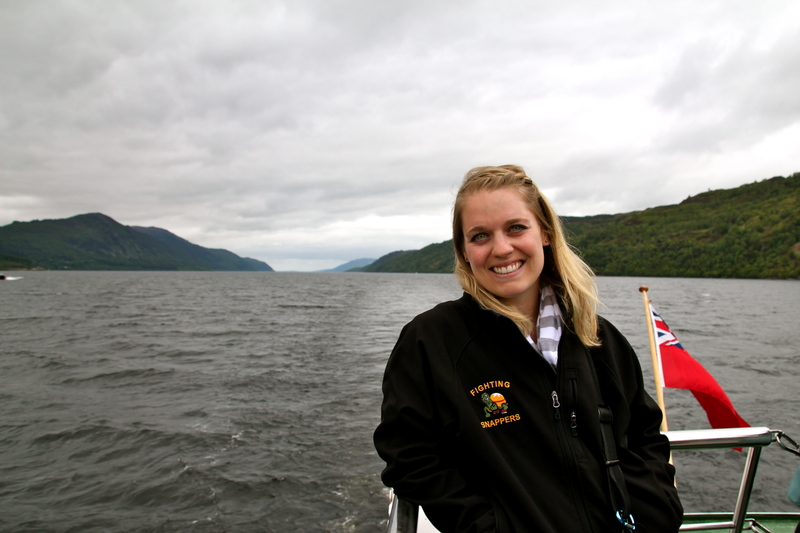 Next was Loch Ness, which I’m sure I don’t need to define for you. Did we see the monster? Well, no, unless you count the rather scary man telling stories on our ferry. But we did have a lot of fun. On the way back, we caught some photos of these little cuties. 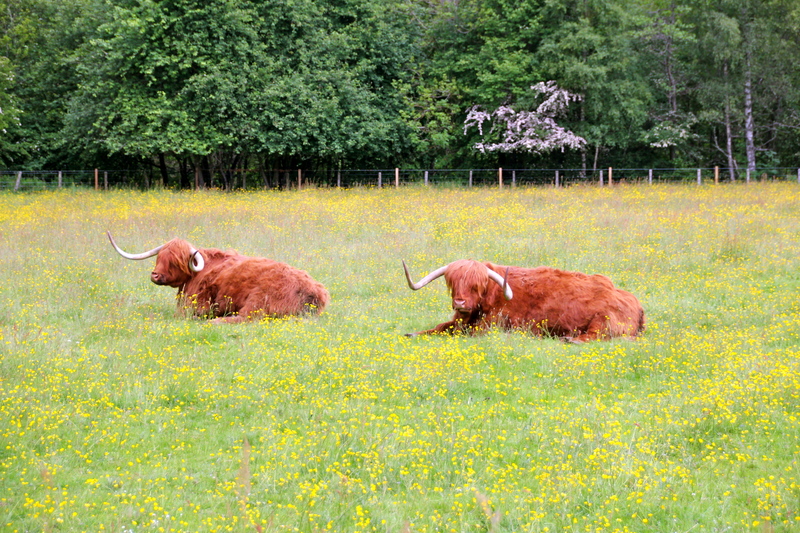 The Scottish Highlands are full of them! Is it strange that I would like to put a couple in my yard at home? This was overall a great day, and worth every pence (see what I did there?) that we spent on the tour. Day 3: Back in Edinburgh. On our last day, we booked a rather intense 3-hour bike ride to see more of the city of Edinburgh. I mentioned that Edinburgh is hilly? Well, this left us so thoroughly exhausted that we were pretty worthless that afternoon. We did a little shopping, stopped for some coffee, and possibly downed one last beer or two before we needed to catch the bus to the airport.